And it will be held in this building. The 12th International Defense Industry Fair (IDEF 2015) kicks off on May 5 and lasts until May 8. 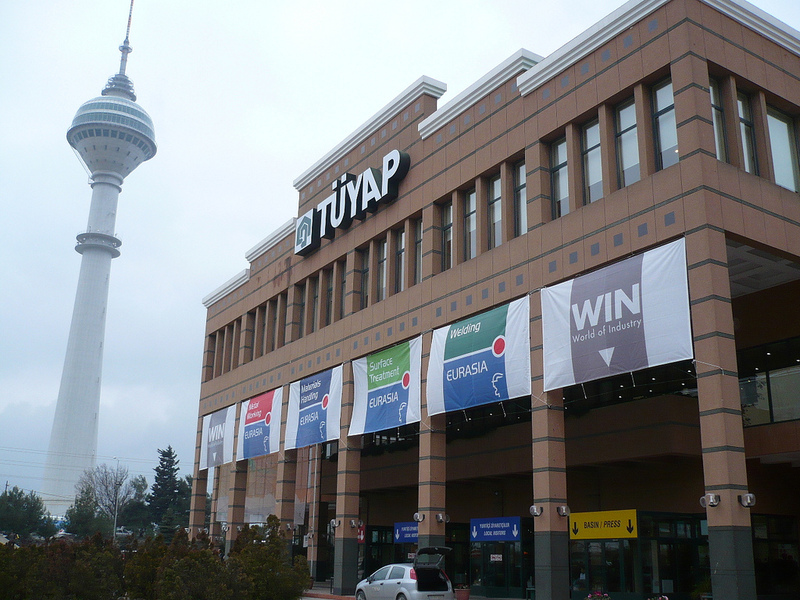 The venue is the spacious Tüyap Fair Convention and Congress Center in Istanbul–it’s pictured upstairs. But wait. What happens during an arms show? Events like IDEF 2015 function as marketing opportunities for defense contractors to find new clients. Arms shows, or defense exhibitions, are vital for a country’s bilateral ties and exports. As long as the transactions are government-to-government, it’s perfectly legal to sell weapons! Now imagine this: Every single day in every week of the year, an arms show is happening. With IDEF 2015, almost 300 delegates from 126 countries are attending to see what’s what and marvel at the products of Turkey’s military-industrial complex. Be warned: Turkey is a regional leader when it comes to manufacturing small arms, armored vehicles, artillery, missiles, fighter jets, helicopters, warships, and various ordnance. IDEF 2015 is a perfect opportunity to see all of the above and more. 21st Century Asian Arms Race (21AAR) is a media partner for IDEF 2015. IDEF International Defence Industry Fair has been held once in every odd year since 1993. IDEF has played an essential role on the development of friendship and cooperation between participant countries. IDEF, as a high technology defence industry fair, incorporating main defence industry branches and their subordinates, is an essential international marketing arena for defence industry companies. IDEF is the biggest defence industry fair in Eurasian region and one of the top four in the world with an increasing trend in terms of the number of participating countries, delegations and companies.